Biox Corp., a renewable energy company that owns and operates a 67 MMly biodiesel production facility in Hamilton, Ontario, Canada, will resume biodiesel production at its plant this month after temporarily suspending production last October. After the more complete analysis of blend economics, Scott Irwin and Darrel Good with University of Illinois conclude data suggests an economic advantage to U.S. biodiesel over Brazilian ethanol in meeting the advanced biofuel requirements of RFS2. USDA Sec. 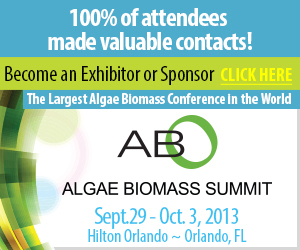 Vilsack will give a keynote address at the National Biodiesel Conference in Las Vegas next month. The Secretary, widely recognized for his leadership contributing to the success of biofuels, will give the address to close the show Feb. 7. In the wake of 140 million fraudulent RINs circulating within the RFS RIN system, blender groups such as RINAlliance had to design a new system of due diligence that was capable of reestablishing the relationships between RIN buyers and sellers. Applied Research Associates and Blue Sun partnered for design, construction and operation of a Biofuels Isoconversion process demonstration system using the ARA and Chevron Lummus Global process to make biojet fuel and renewable diesel and gasoline. Twenty-five of Poet's network of 27 biorefineries have now installed its patent-pending corn oil technology, bringing its total capacity to approximately 250,000 tons per year, enough feedstock to produce 68 million gallons of biodiesel annually. Students at Rockwood Summit High School are asking the community to support their plans to build a biodiesel education center. Among the fundraising efforts, students are selling raffle tickets for the chance to win a one-year lease of a '13 Beetle. A research project aims to crack the lignin question by engineering a microbe to break down the byproduct into a lipid, or fat, and then into biodiesel. 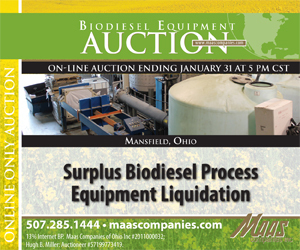 The research can open new feedstock doors for biodiesel while enhancing cellulosic profits. The $1.15M total investment dovetails with ongoing Biofuels Center-supported projects from previous grant cycles, including feedstock efficiency projects, woody biomass-to-biofuels feasibility analyses and the Field to Fryer to Fuel (F3) initiative. As part of the energy department's efforts to diversify the nation's energy portfolio and support America's energy entrepreneurs and innovators, the department announced up to $10 million to help unlock the potential of biofuels made from algae.